Superresolution microscopy is about to take a big step forward, thanks to a licensing agreement among Leica Microsystems, the Max Planck Society and the German Cancer Research Center. Leica will develop new stimulated emission depletion (STED) microscopes to observe molecule movements within living cells’ membranes. The instruments will use a new method from Dr. Stefan Hell, director of Max Planck Institute for Biophysical Chemistry in Göttingen, Germany. Hell originally invented STED in his quest for better resolution in fluorescence microscopy. The new technology greatly improves the resolution and contrast previously achievable with continuous-wave STED microscopy; at the same time, it significantly reduces the laser intensity needed. 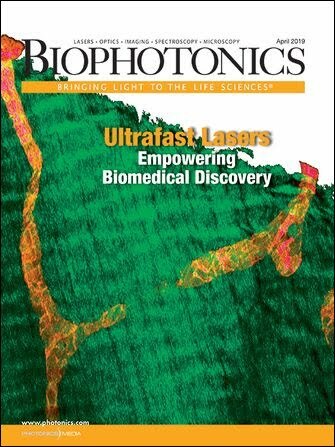 Lower laser intensity means higher photostability and less damage to live cells and other specimens, which will lead to new applications of the technique. Gated STED technology also will improve STED fluorescence correlation spectroscopy. Gated STED nanoscopy provides better spatial resolution in living cells than confocal microscopy. Here, the protein keratin is marked with the fluorescent protein Citrine in a living PtK2 cell. The insets show a magnified view of the marked areas, demonstrating the separation of features as small as 60 nm in the living cell. Fluorescence excitation was achieved at 485 nm, STED at 592 nm using a CW beam. Scale bars 1µm. Courtesy of Max Planck Institute for Biophysical Chemistry. “It delivers significantly crisper images than standard CW STED microscopy,” Hell said. “Contrary to stochastic super-resolution methods, the image is gained as easily as with a standard confocal microscope. The new instrument will come from Leica Microsystems and is expected to appear in the first half of this year. Gated STED will be compatible for upgrades to Leica’s CW confocal systems already on the market such as the TCS SP5 and the TCS STED.